Sophomore Joe Rea of St. Helens High has been named to the all-Northwest Oregon Conference first team in baseball. Rea, a shortstop, helped the Lions advance to the postseason with a 6-11 league record. He hit .448, with team highs of 30 hits, four triples and 15 RBIs. He also ranked second in doubles, with six, and second in runs scored, with 20. St. Helens had two players picked to the all-NWOC second team and five players receive honorable mention. Catcher David Parks and pitcher Kyle Harris, both seniors, were second-team selections. Parks batted .310 and was first on the team in runs (23), home runs (three) and doubles (seven). He ranked second in hits (22) and RBIs (14). Harris hit .255, with four doubles, one homer, 11 RBIs and nine runs scored. On the mound, he was 2-0 with a 3.20 ERA. Honorable mention Lions were senior infielders Joey Binum and sophomore Drew Sullivan, junior outfielder Chris Beatty, senior pitcher Owen Wolfe and freshman designated hitter Jacobi Allen. St. Helens coach Jeff Timmons noted that Rea quickly assumed the leadoff spot in the batting order and had a high on-base percentage, with eight walks in league play. Rea also stole a team-high 15 bases during the NWOC season. 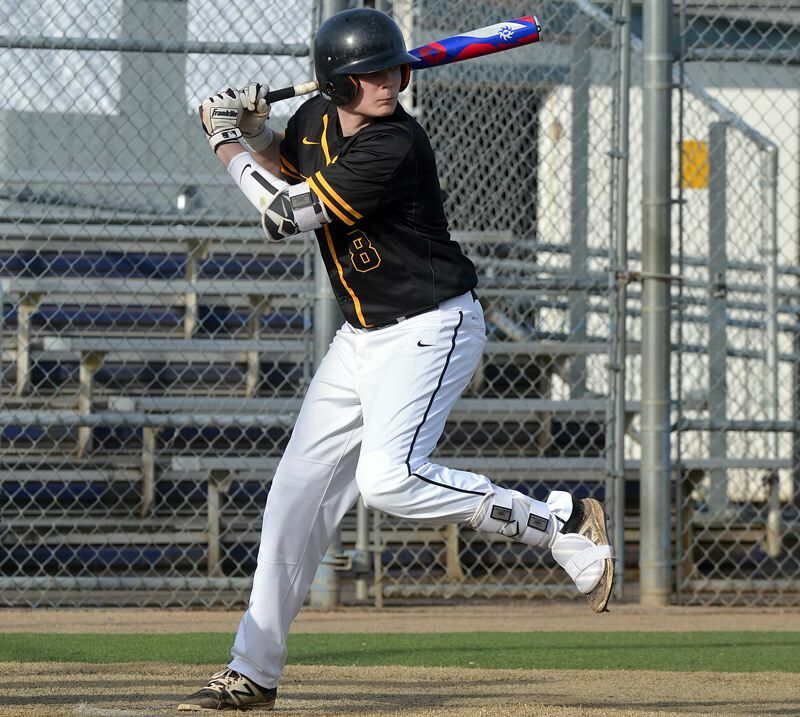 "He played varsity as a freshman and hit like .200, but he worked extremely hard and saw a lot of good pitching last summer on a club team out of Portland," Timmons said. "And I think being a sophomore he was just a little more relaxed." Rea figures to get even more work on the mound for the Lions next season. Parks and Harris, the second-team picks, gave St. Helens a strong battery. "Catcher was so deep in our league this year," Timmons said. "There was a clear-cut first-teamer from Sandy because he hit .390 and drove in a ton of runs on a team that threatened to win the title. For us, David hit with some power (eight of his 15 league hits went for extra bases), and defensively, he threw out a lot of guys." Harris fanned 24 batters in 18 league innings, and gave up only one extra-bit hit. He had a NWOC earned-run average of 1.56 and a 2-0 league record. "Only problem was he had to take about two weeks off with some elbow soreness," Timmons said. "But he pitched really well in league. He has decent velocity on his fastball, but his changeup was at a much slower speed this year and was very effective. He got people to pop out and hit weak ground balls with it." Binum played mostly third base. "It's a tough position, especially on our field — you're playing up even with the bag and you take a beating," Timmons said. "But he's never afraid to put his chest in front of the ball and field it." Sullivan was the Lions' second baseman. "He came on offensively toward the end and finished with 11 hits in league, including six doubles and two home runs, both in the same inning," Timmons said. "With him and Joe up the middle, we're probably going to have the best shortstop-second base combo in the league the next two years." Beatty's bat came on late, as well, and he finished at .292 in league. "He made some good fielding plays," Timmons said. "He had a great play against Hood River Valley where he tracked a ball and caught it up against the wall." Wolfe was the Lions' workhorse and probably deserved better than his record, Timmons said. He pitched a team-high 30 innings and had a 4.43 ERA, with 24 strikeouts and 11 walks. "We didn't help him out defensively," the coach said, "but he's a competitor. He got hit while pitching three times against Wilsonville, but never complained. He took the ball every time I handed it to him and pushed on." Allen hit .293 in league after what Timmons called a "rocky start." Allen made things tough on opposing pitchers and easy for his own coaches. "He saw more pitches than anybody on our team," Timmons said. "He walked 10 times, and 14 of his 41 at-bats were six-plus pitches so he made the pitcher work. "And what makes him so valuable is he played everywhere in the field." Next season, Timmons said, Allen probably will replace Parks as the Lions' main catcher. St. Helens closed the regular season with four straight victories to earn a Play-In game. The Lions, who were ranked No. 21 in Class 5A by the Oregon School Activities Association, lost 8-0 at Hood River Valley and finished 7-17 overall.